I’ve just posted the recipe for this cake on my other blog which is where I am noting down various bits of my family history. The recipe comes from a handwritten recipe book belonging to my grandmother – this recipe was written in by my great-grandmother, Carolina Cecilia Margaret Selwood (nee Hartigan) who we all knew as Nannan – apparently my uncle as a child couldn’t say Grandmum so said Nannan instead and the name stuck through the generations! I was lucky enough to know two of my great-grandmothers and have memories of visiting my Nannan and squeezing oranges for her. If they were blood oranges we were always allowed to have the juice ourselves! 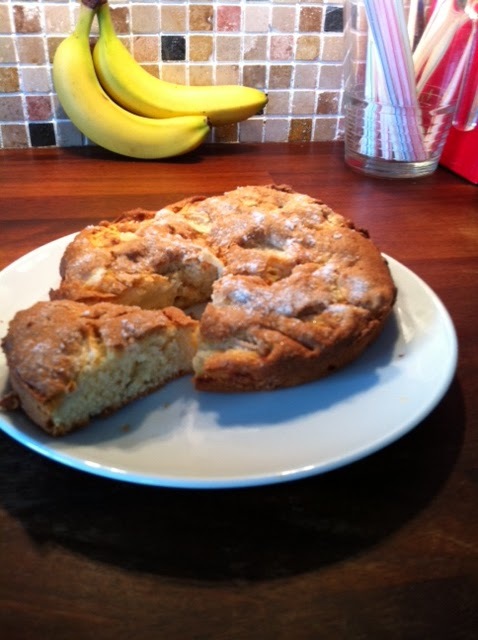 Anyway, check out the Apple cake recipe over on my other site (there’s a link on the right of this page) – it’s really yummy! Perfect for autumn day munching squirrelled up on a sofa somewhere.